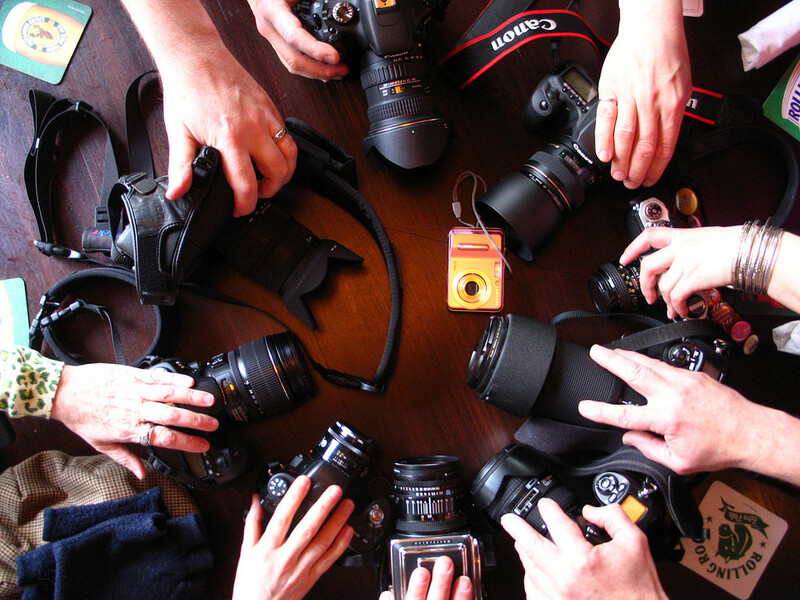 We asked you for some photography advice for newbies, and you guys responded in full. We’ve compiled all of the of advice and put it into one list. Here you go! Take your camera everywhere and use it. – Wendy B.M. Fill the frame. – Richard H.
[shoot] what would look cool. – Ronny H.
Get at your subject’s level. – Daniel A. Get closer. – Jacki B.T. “Originality is undetected plagiarism.” (William Ralph Inge) – Hunter G.
Just keep clicking! – Chris D.
Turn around after the shot to see what you missed. – John M.E. Isolate your subjects. Keep your subjects simple. Shoot at dusk and dawn. Listen to music while shooting. – Josh M.
Read your owners manual and play with manual settings. – Jack B. Look at your background when taking portraits. You don’t want a trash can or old ratty chair in that photo if you can help it. Move around until it’s out of the frame. Don’t be afraid to take pictures if random things. Often that’s where true beauty is found. My “mistake” become some of my favorite. – Meredith Q. Always shoot in raw format. Oh and take the lens cap off! – Christopher L.
Consider ALL that you see through the viewfinder. Control the composition. Be aware of the foreground, background and all edges of the frame. The Art of photography begins here. – Lewis M.
Keep your camera HIGH up away from toddlers hands ; ) – Angela F.O. Shoot what you love ♥ – Kristin K.
Take lots of photos and only show people your best ones. Instead of just one shot of something take at least 3. – Amy W.
If you like it, don’t listen to the critics. They usually have no clue what they’re talking about. – Audie C.
Composition > Expensive camera. – Manny E.
Carry your camera wherever you go. – T.A.S. Learn to take a good photograph with less camera then upgrade as needed. It doesn’t work the other way around. – Keith E.M.
Do you have anything else to add? Leave a comment or email me at drew [at] fractureme [dot] com with some more photography advice for newcomers. I’ll add them to this list. And please, please don’t let your photos stay on your camera. DO SOMETHING with them. We’d love for you to print them with us (we make awesome photos on glass, you know! ), but what we really want is for you to preserve those memories and put them on display for all to see. You took the time to snap them, now show them off and let the world see. Now, think of someone who loves taking pictures, who should read this post. Thinking of someone? Good, now tag them below.